P/I Available Nationals GOS Winner! 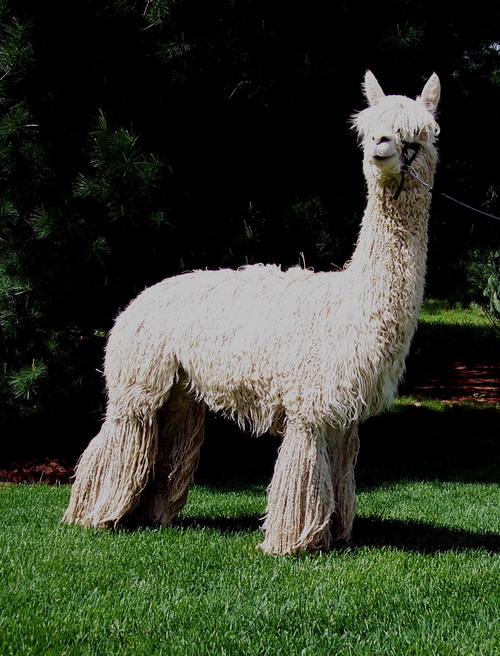 We will start with a little history on Rockstar and Eldora Suri Alpacas. 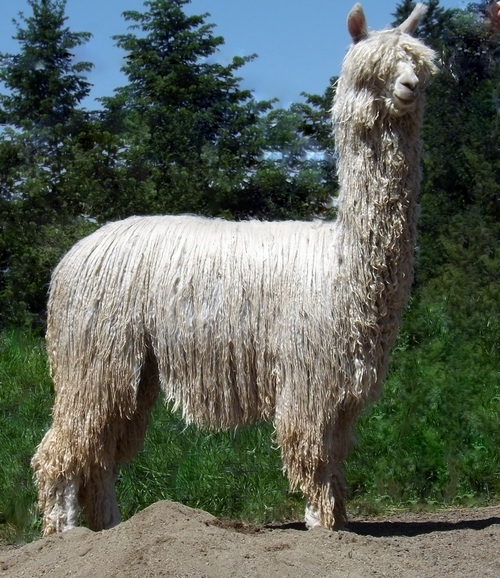 Rockstar was co-owned and stood stud at Eldora Suri Alpacas from 2007 to 2013 when he passed away. In 2009, a barn fire wiped out all of Eldora's Rockstar offspring. We started over. The second wave of Rockstar offspring hit the ground in 2011 and began winning at top shows in 2012. 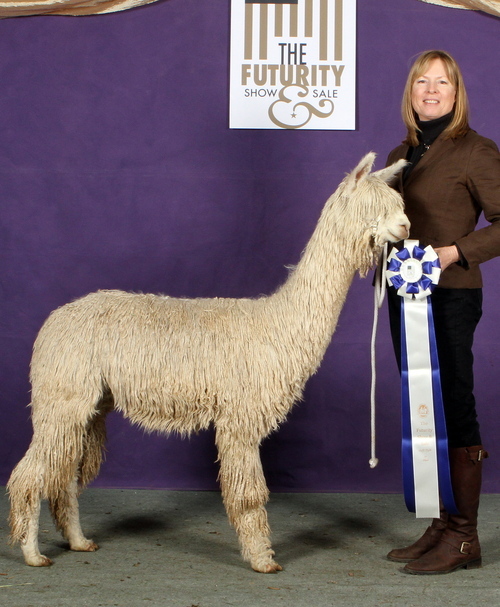 In 2013, Eldora Suri Alpacas won Futurity Breeder of the Year, Small Farm Division, based mainly on Rockstar offspring. 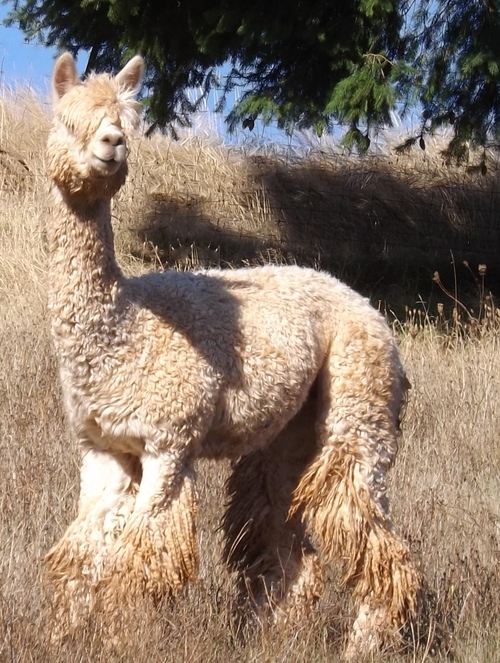 As of 2018, Rockstar offspring and grand-offspring have won 10 Judge's Choice Awards for Eldora Suri Alpacas since 2014. For a small farm with a herd count hovering between 15 and 20 alpacas, that's a notable accomplishment. Rockstar was a Futurity Herdsire of the Year. The Futurity is a unique show that ultimately defines the performance of herdsires across the USA. It is a world class show that is considered more difficult than Nationals or any other show. Whether you participate in the Futurity competitions or not, you should pay attention to which sires and grandsires are producing the top winners in Get of Sire, Championships, Judge's Choice and Herdsires of the Year at The Futurity. These bloodlines are the key to improving performance in your own program. 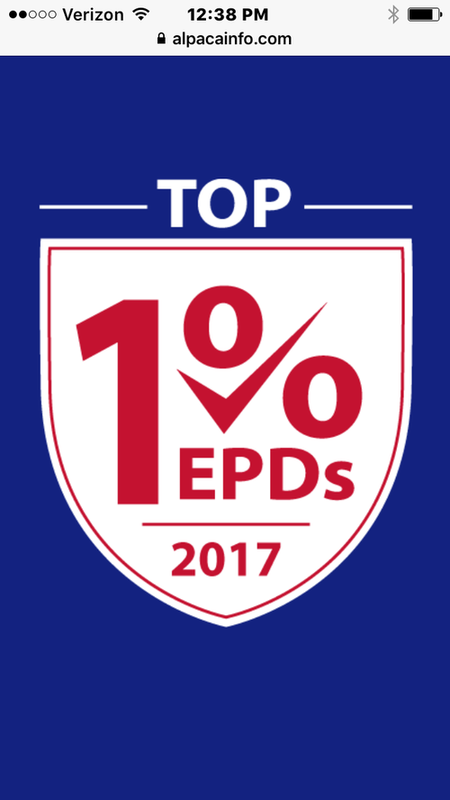 It is remarkable to see that a very large percentage of past and current Futurity award winners AND top 1% EPD rankers have bloodlines that trace directly back to Rockstar. 1. The last Rockstar son to be born at Eldora was Eldora's Accoyo Bravo, in 2013. Bravo is co-owned with Silverfield Alpacas. Bravo is the only full Accoyo line bred Rockstar son, sporting double Torbio/Rene lineage on both sides of his pedigree. Bravo has the greatest resemblance to Rockstar himself. Bravo's first offspring hit the ground in 2017 and will be seen at the shows starting in 2018. 2. Rockstar produced the following sires that are not only well known for their own awards but have also produced many award winning offspring: Lazy G's Accoyo Goldstar, Accoyo Magnum, Eldora's Tempo, Eldora's Accoyo Talent, Eldora's Accoyo Maestro. 3. 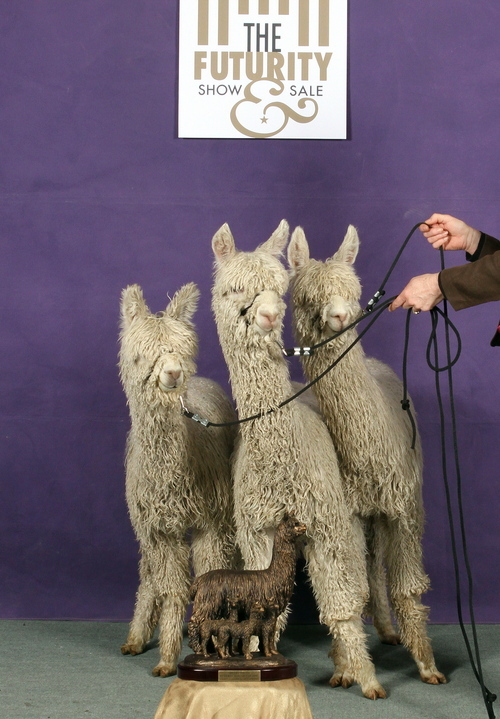 For the first time ever at the 2017 Suri Network Fleece Show, the coveted Spirit of the Industry award AND First Place Get of Sire were simultaneously won by the same alpaca. The winner was Eldora's Tempo by Rockstar, at 4.5 years of age. 4. Another first- Both Rockstar AND his son Maestro produced AOA Nationals Fleece Judge's Choice Winners: Eldora's Tempo by Rockstar (2014) and Silverfield's Marley by Maestro (2017). 5. Rockstar is the first sire to produce TWO Judge's Choice Winners at the Suri Network Fleece Show. The winners were Eldora's Tempo (2014) and Eldora's Accoyo Talent (2015). 6. The 2014 & 2015 Futurity Male Judge's Choice Winners are Rockstar Grandsons. And get this- each winner was sired by a different Rockstar son! Check back often for more Rockstar fun facts. 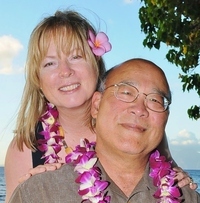 We offer financing to fit just about any buyer's needs.